Staying warm during our Manitoba winters is not just about comfort; it's also required for safety. Even life-long Manitobans have been known to underestimate the potential for cold-weather injuries. That's why it is very important for everyone to have a good understanding of the potential dangers associated with being unprepared for being outside in the cold. That's particularly true when it comes to frostbite - a potentially serious condition that occurs when skin freezes. Frostbite is caused by a combination of factors, including temperature, wind chill, altitude, how warmly you are dressed and whether your clothing is wet or dry. Health issues, such as diabetes, thyroid problems, or a stroke, can also increase the risk of frostbite. Generally speaking, the chances of developing frostbite increase as the mercury drops. A person exposed to temperatures of -10 C to -27 C for a long period of time can experience decreased blood flow and freezing of skin and tissue just below the skin. Environment Canada notes that skin exposed to temperatures between -28 C and -39 C with wind chill can freeze in 10 to 30 minutes. Skin that blisters, swells, or turns black in the most severe cases. 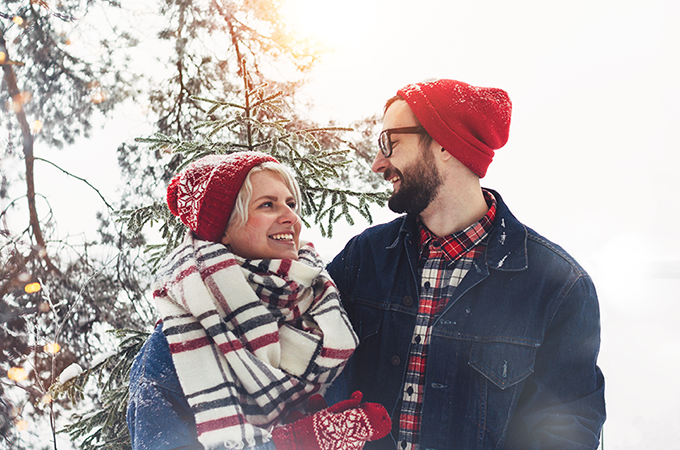 As you might expect, the key to protecting yourself against frostbite is to dress warmly and avoid prolonged periods in frigid temperatures. 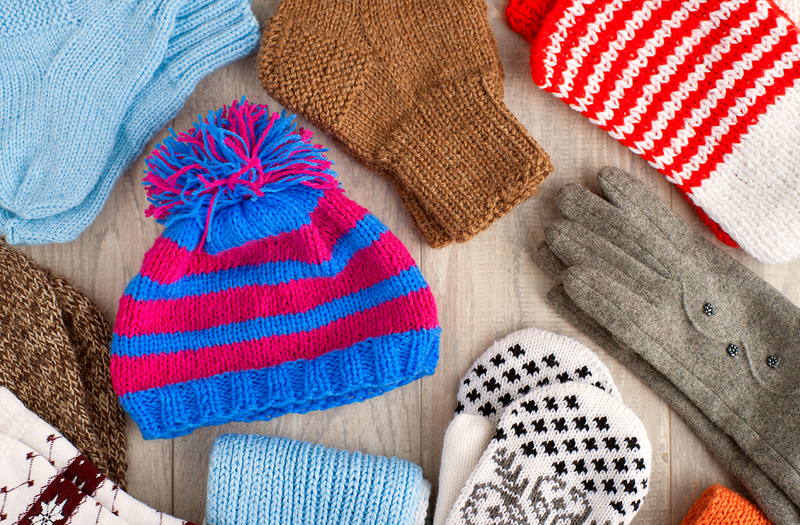 But there are many ways people can get caught unprepared for the cold. For example, a person might get stranded with only light clothing after their car breaks down on a rural road. Or, someone might head out for a skate or a walk without proper headwear and mittens. The lesson, of course, is to be prepared. Wear several loose layers of clothing rather than a single, thick layer to provide good insulation and keep moisture away from your skin. Materials that do this include polypropylene, polyesters, and wool. The outer garment should breathe but be waterproof and windproof, with an inner thermal layer. Retain body heat with a hat and scarf. Mittens are warmer than gloves. Be sure your clothing protects your head, ears, nose, hands and feet, especially for children. If you do get frostbite, it is important to take quick action. Most cases of frostbite can be treated by rapidly warming the exposed area in quite warm (but not hot) water (40 C to 42 C). Use a warm, wet washcloth on frostbitten nose or earlobes. Do not warm the area with dry heat, such as a heating pad, heat lamp or electric heater because frostbitten skin is easily burned. Immersion in warm water should continue for 20 to 30 minutes until the exposed area starts to turn pink, indicating the return of blood circulation. At this point the numbness should disappear. If you don't have access to warm water, place your hands under your armpits or your feet against a warm person's skin. Dry and cover the area with warm clothes and then layers of blankets or anything warm. It is a good idea to drink hot fluids such as hot chocolate, coffee or tea when warming, but there are a number of things you should not do. For example, do not rub frostbitten areas, drink alcohol or walk on your feet or toes if they are frozen. You should also not massage or put snow on frostbitten areas. Both can cause serious damage. In severe cases, such as when exposed skin is blackened or a large area is frostbitten or the colour of the skin and sensation doesn't return to normal after one hour of warming, go to the emergency department for immediate care. In most cases, frostbite is can be treated fairly easily with no long-term effects. But it can also lead to serious injury, including permanent numbness or tingling, joint stiffness, or muscle weakness. In extremely severe cases, it can lead to amputation of the extremities, so it always pays to take the cold weather seriously. Diana Doyle-Zebrun is a registered nurse and clinical and quality initiatives manager at Health Links - Info Santé, a telephone health information service with the Provincial Health Contact Centre at Misericordia Health Centre.